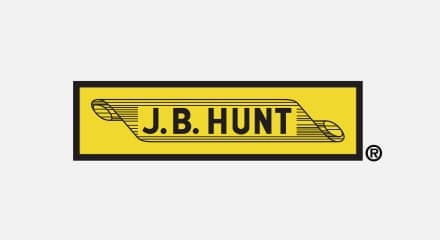 J.B. Hunt Transport Services, Inc. is a Fortune 500 company and one of the largest transportation logistics companies in North America. J.B. Hunt provides safe and reliable transportation services to a diverse group of customers throughout the continental US, Canada and Mexico. Core to the business is delivering premier customer service. The company was committed to establishing one-to-one routing as the primary means of communication, but their previous PBX system couldn’t support the expansion of skill sets for routing rules. In recent years, J.B. Hunt has faced the additional challenge of communication silos–e.g. phone call, on-board communication system, text and email–which required agents to manage customer interactions through lots of tools across the desktop, the internet and even personal devices. With the goal of continuous improvement, the company needed to centralize the interactions with smart, efficient call routing to report on and improve customer service. J.B. Hunt chose the Genesys Customer Experience Platform and implemented Reporting & Analytics, Proactive Communications and Self-Service from Genesys to expand skill sets and centralize interactions. This has enabled J.B. Hunt to increase the number of target agents with relevant skill sets, which has significantly increased the percentage of calls that go to the first account rep and greatly reduced internal transfers. Using the Genesys Customer Experience Platform, combined with improved call center best practices, J.B. Hunt estimates they have saved nearly $2 million per year.